Plot – Highly strung elite government agent James Silva (Wahlberg) and his team find themselves in a highly volatile fight for survival when they must transport traitorous police officer Li Noor (Uwais) to an air base to uncover the locations of weapons of mass destruction. I’m not sure what happened to the filmmaker that made 2004 High School football classic Friday Night Lights, but I know I want him back. After reaching the grand heights of his 2004 grand opus, actor turned director Peter Berg has been almost constantly churning out films of various quality, from the bad (Battleship), the disappointing (Hancock) to the highly entertaining (Deepwater Horizon) but his never managed to properly showcase that his football heavy hitter wasn’t a one-off. Finding a partner in crime in the form of Hollywood mega-star Mark Wahlberg, Mile 22 marks the 4th time in 5 years the actor and director have worked together and while the other results have been solid, if mildly forgettable, Mile 22 is a new low-point in their creative partnership. A wannabe franchise starter that features Wahlberg at his annoying worst as highly-strung and emotionally non-existent crack government agent James Silva, Mile 22 is a mess of an action movie that takes Berg’s signature in your face documentary like direction and turns it into 90 minutes of near incomprehensible action sequences, as Silva and his team look to extract The Raid star Iko Uwais traitorous Li Noor back to America before a potential terrorist attack throws the world into chaos. It’s impossible to understand why Mile 22 was directed and edited in the way it was, giving it the feeling that it’s made by a bunch of amateurish ADHD suffering wannabe filmmakers, that when partnered with Lea Carpenter’s atrocious and expletive ridden script (of which includes gems like “no birthday cake”) and a collection of bemused looking performances, makes for quite the mind-numbing cinematic offering. You get the feeling Berg and Wahlberg jumped headfirst into this production with very little care, thought or planning and even though it’s great to see a superstar like Uwais appear here (as actor and also action choreographer), you wonder what the point of it all is when Berg and his production team are hell-bent on over editing and cutting everything to pieces so your never even given time to comprehend who or what you’re watching. 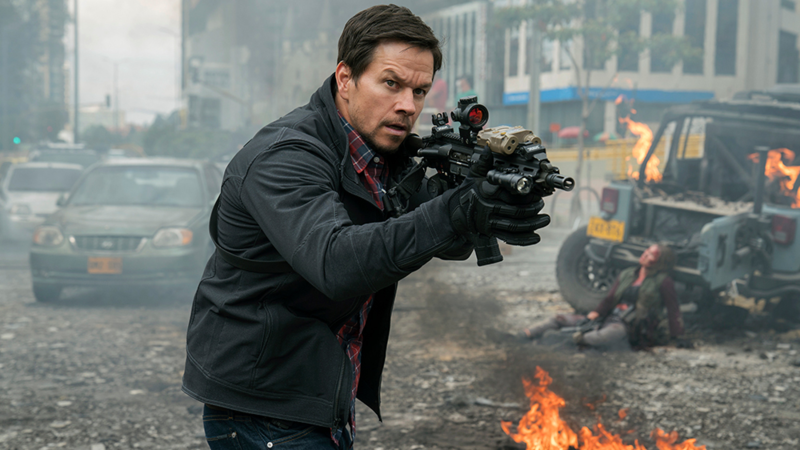 The disappointment of the film overall is also another downward trend for Wahlberg, who outside of the perfectly average Deepwater Horizon and Patriots Day has been treading water of late with Mile 22 sitting comfortably alongside the likes of Daddy’s Home 2, Transformers: The Last Knight, All the Money in the World and The Gambler as recent misfires and travesty’s. It’s likely we will never get to see Mile 23 and that’s a great thing for all of us, as Berg and Walhberg’s wannabe action hit is a total misfire and a film your best off skipping if you want to avoid a headache and nausea.